The kindergarten students are children between 5-6 years of age and they can be tough to manage if you are not organized at every step. 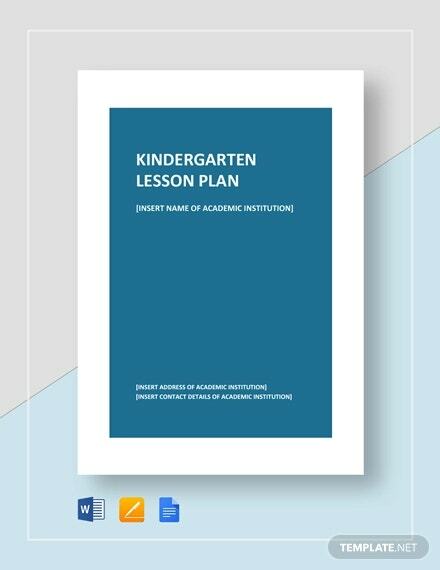 Thus, the experts always advise to follow a kindergarten lesson plan template so that you are prepared beforehand on how to proceed with each lesson- be it about number game or teaching good manners or traffic rules and so on. 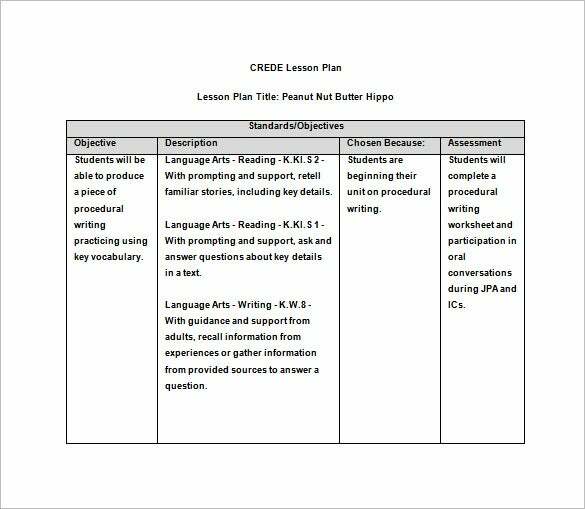 You may also like Common Core Lesson Plan Templates. 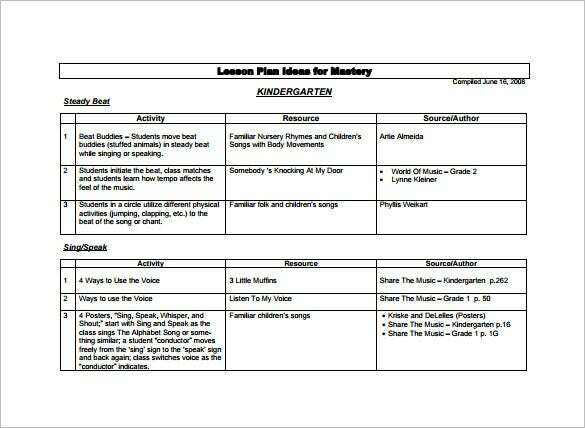 msnucleus.org | This kindergarten lesson plan offers you a gist of lesson plan for as many as 8 weeks. 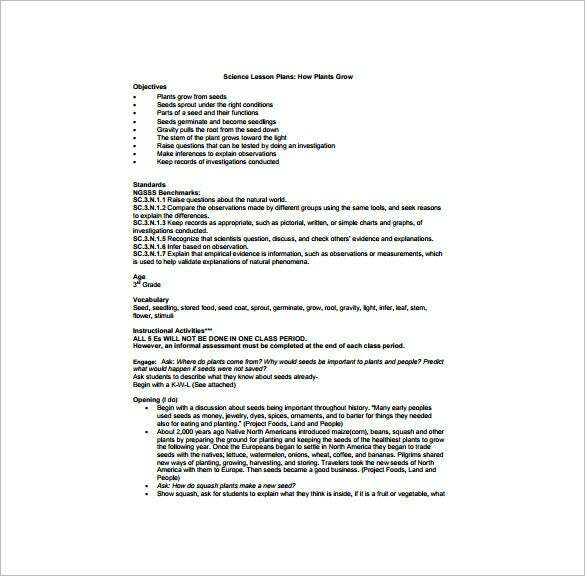 It comprises of lesson plan for different topics of the same subject and also includes information on lab work. richland.k12.la.us | This kindergarten math lesson plan looks fun given the presence of pictures and it would be easier for the children to work on. It deals with simple math problems like addition and subtraction. manoa.hawaii.edu | You are getting a simple and smart lesson plan here. 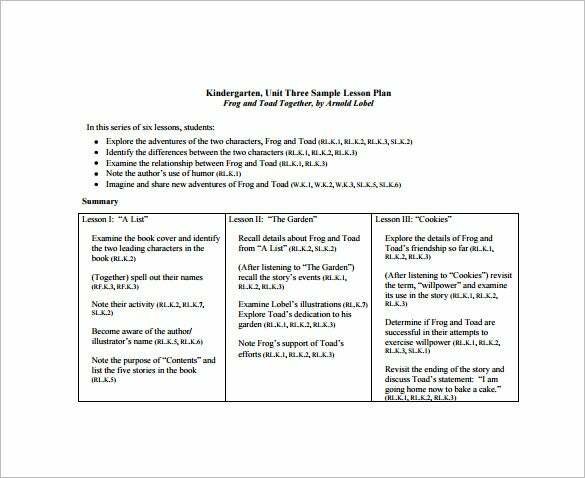 It is divided into 4 major columns for 4 important parameters of a standard lesson plan and these are objectives, description, the reason behind its selection & assessment. 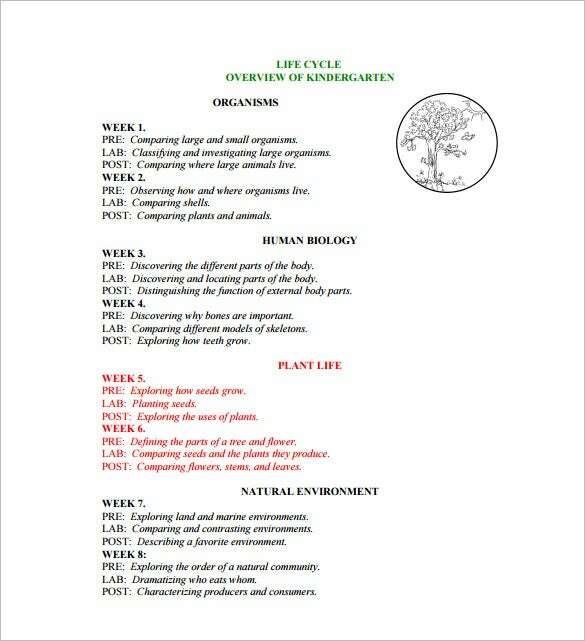 abeka.com | This home schooling kindergarten lesson plan offers a lesson plan for 3 types of grades in one plan. 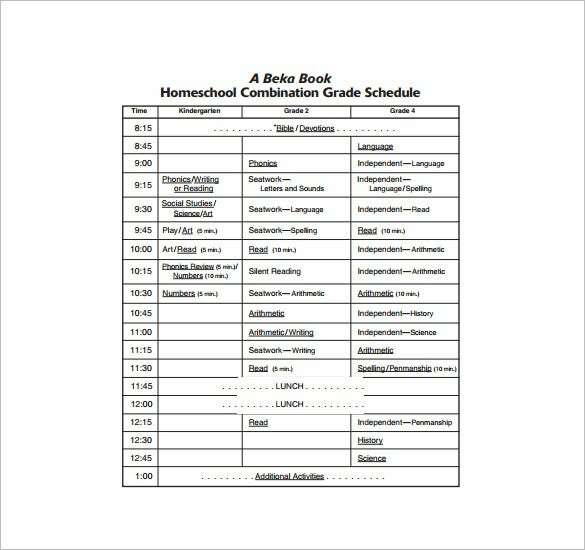 Here you have the time duration present of the left and the remaining columns note the subjects to be studied under each grade. 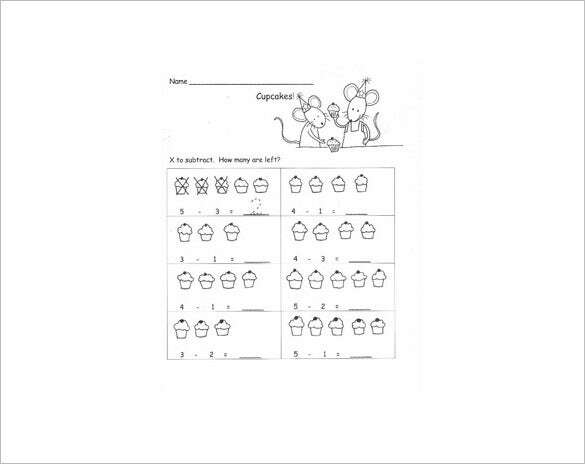 Your little one would love to use this subtraction lesson plan thanks to the two cute mice having fun in birthday hats at the top of the page. 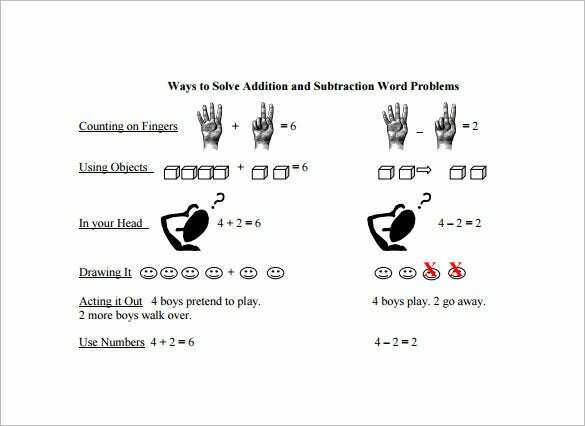 Moreover, the pictures connoting the sum problems are also pulling for kids. uwyo.edu | This vibrant shape lesson plan looks simply lovely given the presence of so many bright colors in the picture. 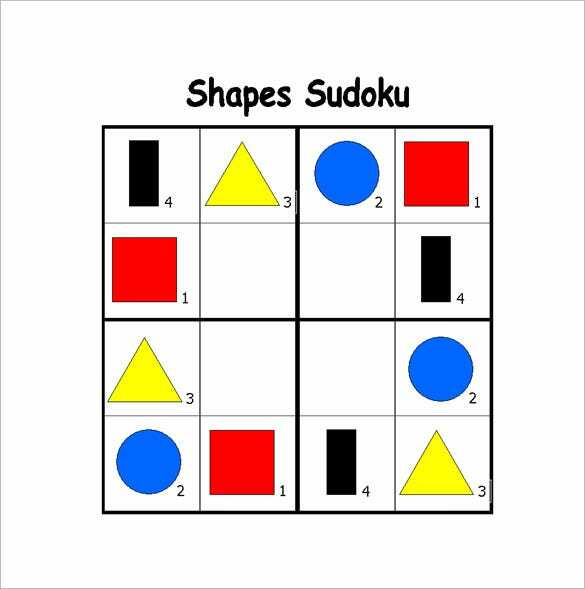 It would be a great tool to educate your kid about the various shapes around. 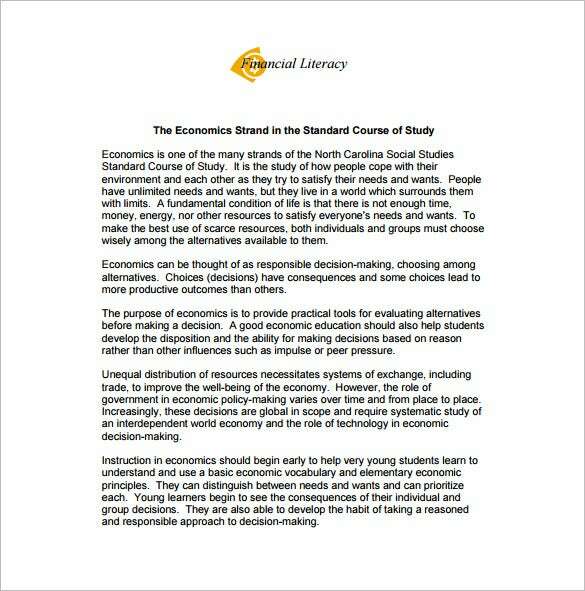 greatminds.ne | This Common Core Lesson Plan begins with pointers on the lesson objectives. It is then followed by a table of summary of 3 lessons. It’s smart and easy to follow. 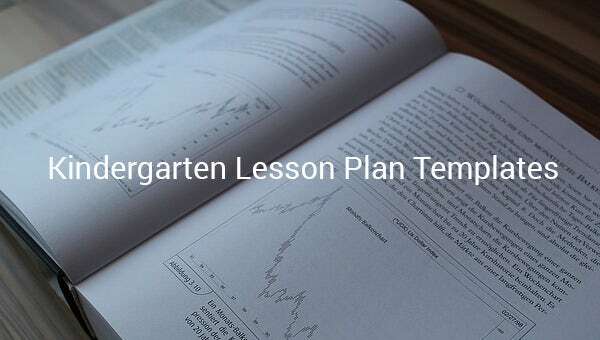 The kindergarten lesson plan sample will chart out the very way you will impart the lesson. It will include what resources you would, the props and your activity in the classroom. 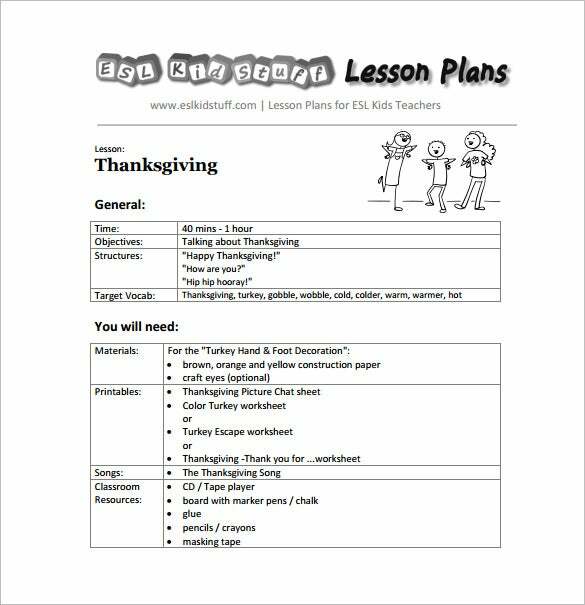 Besides, the Lesson Plan Templates will also include how long each of the lessons would run.